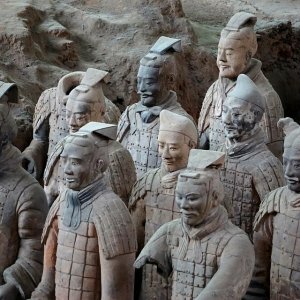 Shermans Travel offers Air Ticket Round-Trip to Xi'an in Spring Sale, Fare from $411 with tax. The best rates were found on select dates late April - early May. Departure City: San Francisco, Los Angeles, New York, Seattle, Dallas, Boston (other cities can manually type). Featured: Great price in summer vacation early bird. If you can finish your final advanced and has the plan to go to China. It's a great deal you cannot miss. Try to find the best departure place near than you, and book the ticket with extra saving! Tips: Airfare is subject changed, Please follow the actual price.